I don’t eat much meat but there is one type of meat I have a hard time giving up. Bacon! There is something about that crispy, saltiness that just tastes good in almost any dish or by itself. Bacon is simply perfect for any meal at any time of day. Bacon, egg, mushroom and cheese omelette for breakfast, a crunchy BLT sandwich for lunch or bacon wrapped scallops for dinner! 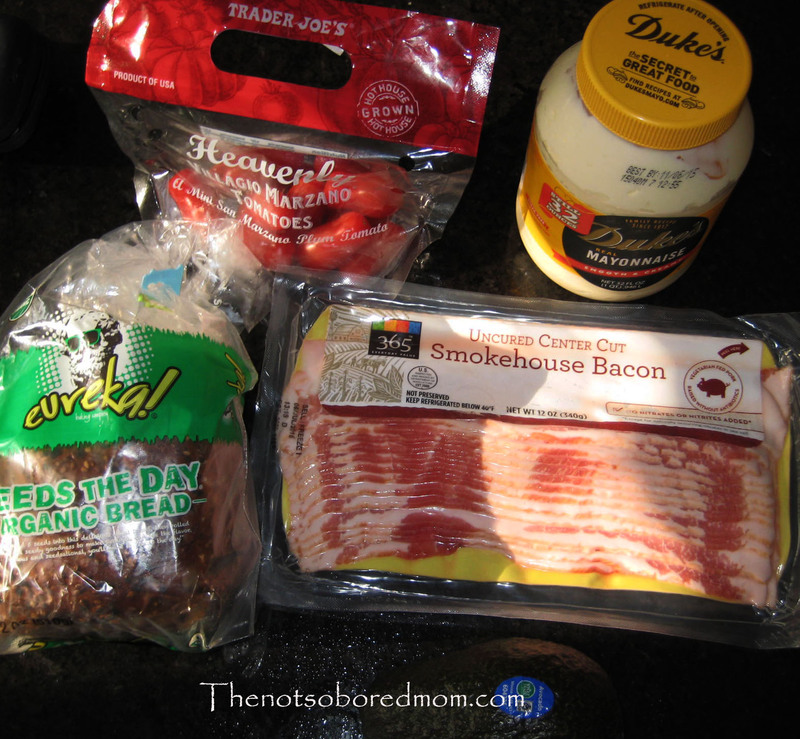 Tonight I am making my version of a BLT for dinner. My recipe is simple. There are only 5 ingredients. But these five ingredients need to be the best of the best. The bacon is the single most important ingredient, so for your health and for taste buy vegetarian fed pork with no antibiotics, no nitrates or certified organic. You can find several great options at Whole Foods. The second ingredient is one soft avocado. Give your avocado a good squeeze and make sure it has a little give but doesn’t squish in your hands. The next ingredient is San Marzano tomatoes. Disregard this suggestion if you live in New Jersey (there is something special about a NJ tomato) or if you have tomatoes from your garden. I unfortunately don’t have any tomatoes growing in my garden and San Marzano are the only tomatoes I have found with any flavor in them. The fourth ingredient is Dukes Mayonnaise. If you live in the South you will understand. If not go with your favorite. Finally the bread. A local bakery is always a good choice but tonight I am going with one of my favorite store bought breads Ezekiel Organic bread. It’s a nutty bread with a slightly sweet taste and the perfect compliment to the salty bacon. Lets get cooking! Start with the bacon. It should be cooked in the oven on a baking sheet (350 degrees for 10-15) or in a frying pan on low so it doesn’t burn. Slow and low is the way to go. Repeat do not put bacon in the microwave. It dries up all the delicious bacon fat and half the flavor is gone. You can always pat the bacon with a paper towel to remove excess grease. 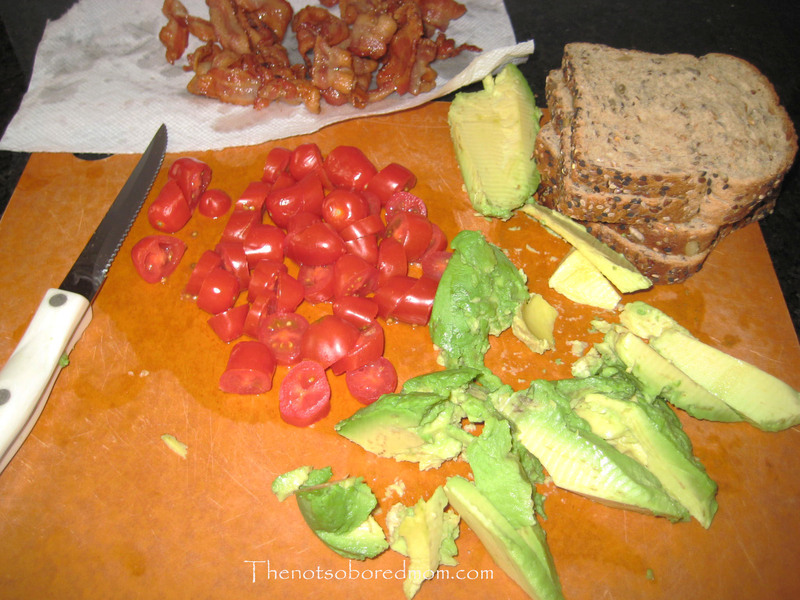 Next slice your avocados and tomatoes thin so you can properly layer your sandwich. Toast the Ezekiel bread and then slather generously with mayonnaise. Your ready now to layer it up and enjoy! Please note this is a splurge dinner for when you want to indulge. Everyone should one night a week! 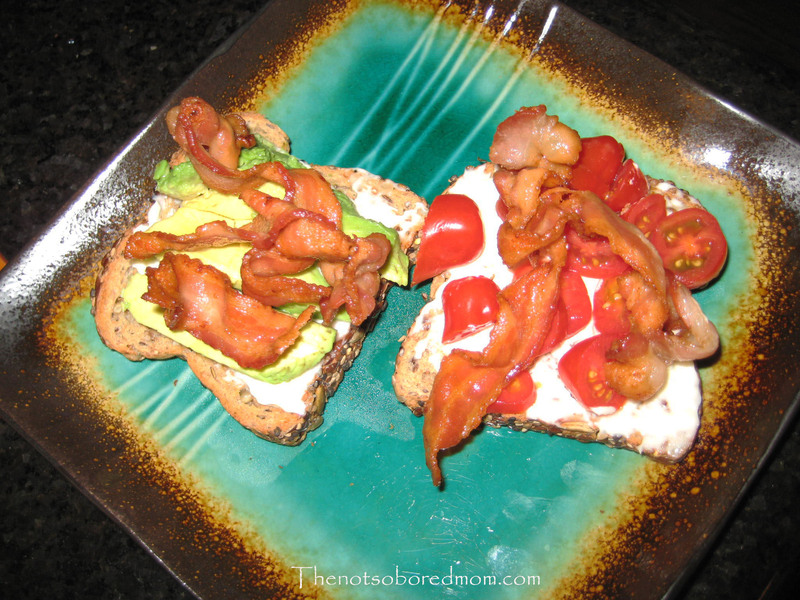 I can hardly wait to bite into this Bacon, Avocado and Tomato sandwich. I can only hope there is some leftover bacon for a breakfast omelet too! What is your favorite meal with bacon? Please share in the comments below. Previous postWhat does natural really mean? I wish I could have real bacon. My wife makes me eat turkey bacon. NOT REAL BACON! Mmmmm mmmmm!!! So good…. Num num num!